The numbers are in and supporters who stopped by our inaugural Pop Tab Party in Decatur on April 26 donated a whopping 647 pounds of pop tabs! That equals $355.85, which we will use to help keep our House an affordable place for families to stay while their child receives medical care. 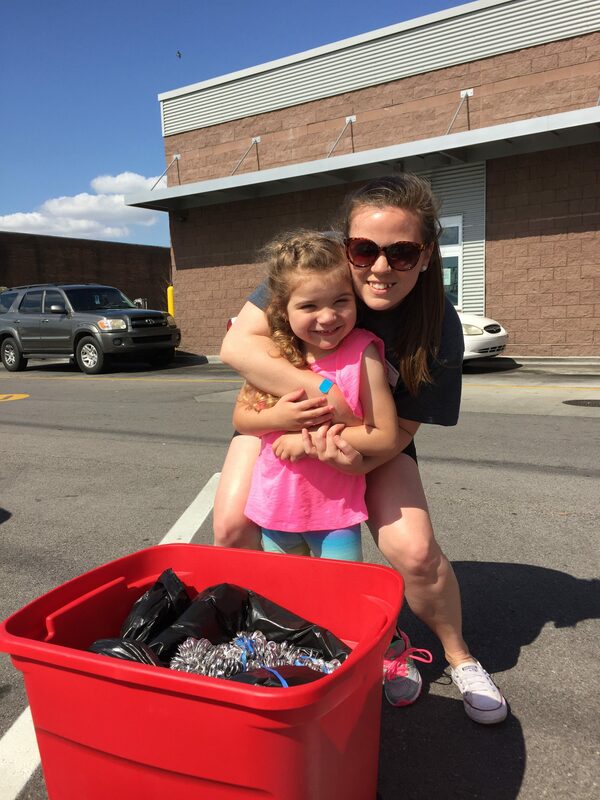 We set up at 11 a.m. just in time for some of our Pop Tab Pandemonium schools to roll in with their collections! 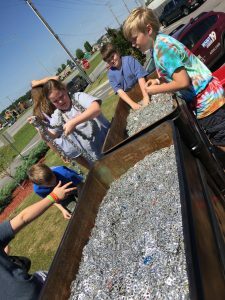 We were also so glad to see several individuals drop by who had been saving their pop tabs for many months. To thank our supporters, we shared special swag packs that included a “Pull your tabs for RMHC” can koozie, RMHCA sunglasses and giveaways from McDonald’s. 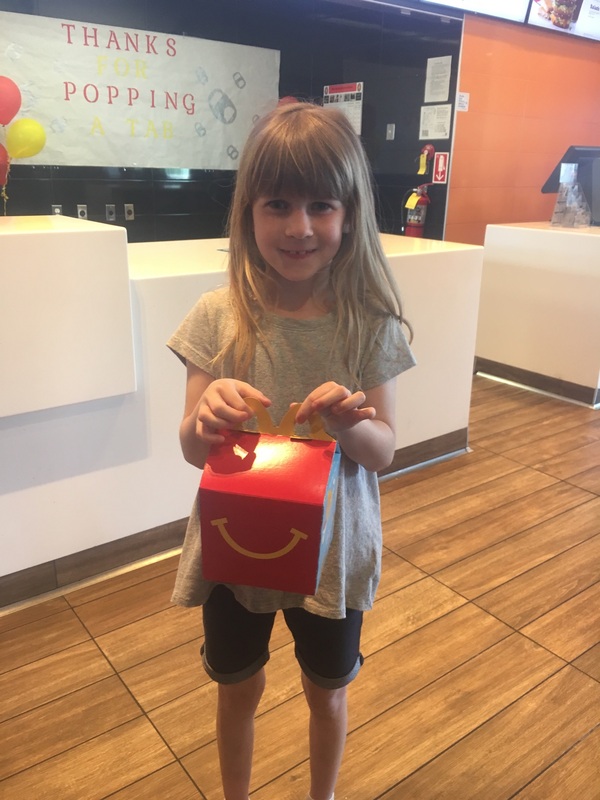 RMHCA would like to thank Vic Donisi, owner/operator of the Beltline McDonald’s, for hosting us; the McDonald’s crew for providing a warm welcome and their helping hands; and Steve with WZYP for setting up and helping us spread the word. 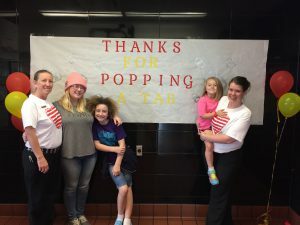 And of course, this party wouldn’t have been nearly as much fun without all the supporters who stopped by to drop off tabs! We especially had fun seeing three of our alumni families and the students and teachers from Holly Pond and Eastwood elementary schools. We can’t wait for next year’s party! Click here to see all the great photos from the party! 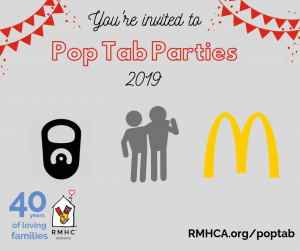 Click here to learn more about how pop tab recycling raises much-needed funds for RMHCA. Click here to learn how your school can participate in the Pop Tab Pandemonium contest for 2017-2018.